SUPER FUN KID ACTIVITIES AT CAPE ANN READS TODAY AT CITY HALL! 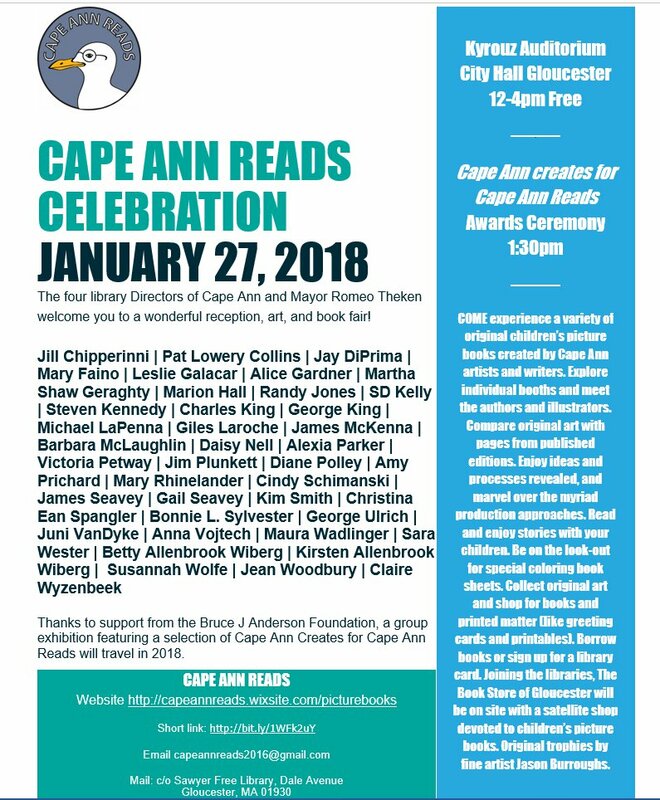 From noon to four this afternoon City Hall will be abuzz with a special celebration exhibiting the work of Cape Ann children’s book authors and illustrators. Each author and illustrator has a table with their projects. Come meet and talk to the authors about their original stories. The illustrators have created coloring sheets taken from the pages of the books to give to guests. The award ceremony, hosted by Mayor Sefatia, takes place at 1:30. 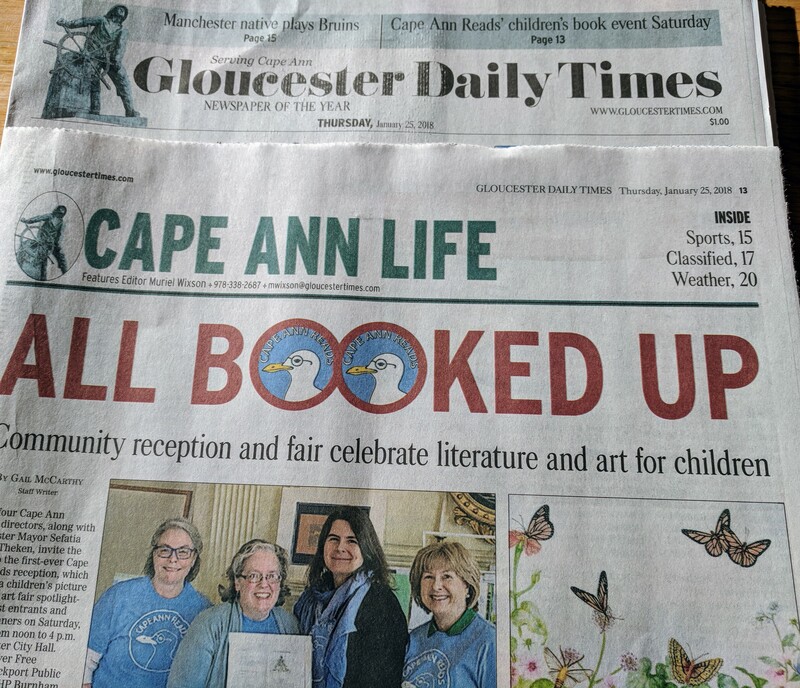 This is a unique and new book fair created by Cape Ann’s four library directors, Deborah Kelsey (Gloucester), Deborah French (Essex), Sara Collins (Manchester), Cindy Grove (Rockport), and art director Catherine Ryan. I am looking forward to seeing all the artists coloring sheets. 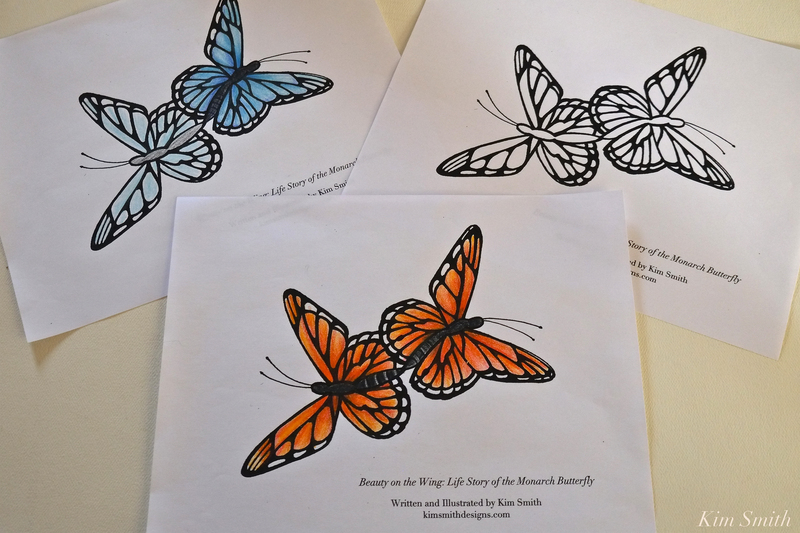 My Monarch Butterfly project and documentary film Beauty on the Wing: Life Story of the Monarch Butterfly first incarnation was an illustrated book, then photo exhibit, and now film. This entry was posted in Gloucester Massachusetts, Monarch Butterfly and tagged Author Illustrator Kim Smith, Beauty on the Wing ~ Life Story of the Monarch Butterfly, Cape Ann Reads, Catherine Ryan, Gail McCarthy, Gloucester Times, Mayor Sefatia, Monarch butterfly, Tirumala limniace on January 27, 2018 by Kim Smith.